Posted 1 year ago by Benisthebest. 325 views. Wants to join a band in Fort Collins, Colorado, United States. 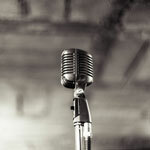 We need a singer that can sing we have a bass and drum and guitar but we cant sing so we need a sing please join if you are a singer and can sing it would be very helpful. Available: Bass Player, Drummer, Drummer - Double Bass, Guitarist, Guitarist - Lead, Vocalist - Backing in Denver, Colorado, United States. Posted 2 months ago by Zack-Walters, 94 views. Available: Bass Player, Guitarist, Guitarist - Lead, Guitarist - Rythm, Singer in Windsor, Colorado, United States. Posted 1 year ago by Desolist, 406 views. Available: Flutist, Guitarist, Keyboardist, Singer, Songwriter in Kiowa, Colorado, United States. Posted 1 month ago by Gally, 86 views. Available: Bass Player, Drummer, Drummer - Double Bass, Guitarist, Guitarist - Lead, Guitarist - Rythm in Denver, Colorado, United States. Posted 11 months ago by Zaleigh, 437 views.